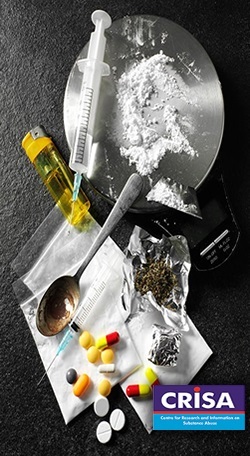 The African Centre for Research and Information on Substance Abuse (CRISA) was founded in Jos, Nigeria, in 1990 as an Independent, Non-profit, Organization devoted to drug and alcohol research, prevention and treatment of substance use disorders, and promotion of healthy lifestyles. CRISA is registered at the Corporate Affairs Commission, Abuja, as a Non-Governmental Organization (limited by guarantee of the Attorney General of the Federation) and in the U.S as a Non-Profit Organization. CRISAcare is a drop-in centre (DIC) of the Centre for Research and Information on Substance Abuse (CRISA). The CRISA Health Library offers a rich collection of materials and documents on different aspects of drugs, drug use and drug-related problems etc. on drug control issues in Africa. Here you can subscribe to updates from CRISA and be instantly notified about News, Events and Announcements.